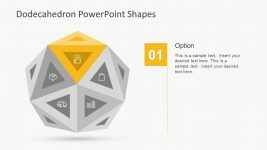 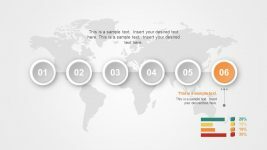 The awesome Dodecahedron PowerPoint Shape Template is a 3D presentation of five individual units. 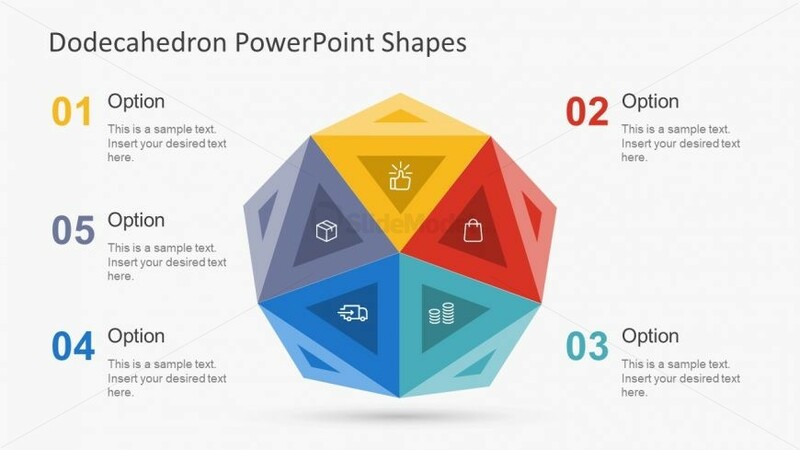 The PowerPoint has colorful triangular shape and brilliant infographics representing every segment. 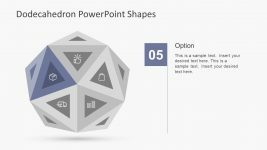 It is an interesting dodecahedron design diagram containing flat vector images join to create a 3D effect. 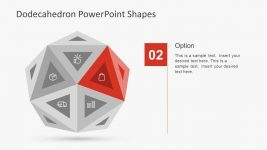 It is a collection of triangles within triangles and connecting units as hexagonal. 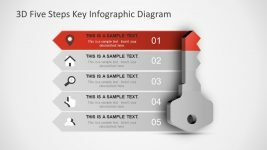 The presentation template represents 5 segments which is ideal for presenting 5 step model or stages in a development phase. 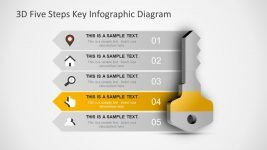 The users can make number of changes in the design of this slide. 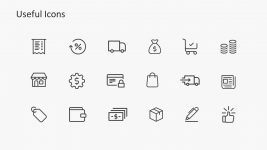 For example, change the colors of shapes and add gradient effect.